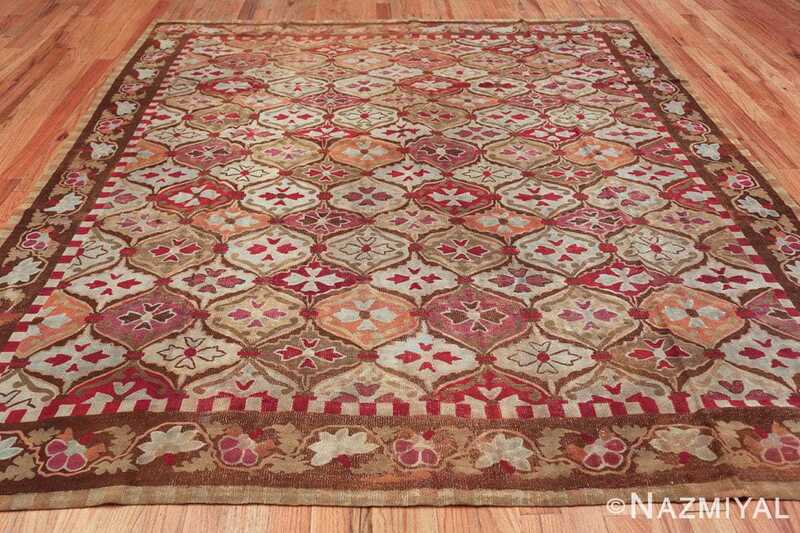 Beautiful Antique Square French Aubusson Rug, Country of Origin / Rug Type: French Rug, Circa Date:1800 – This delightful, colorful antique French Aubusson rug was produced around the year 1800. 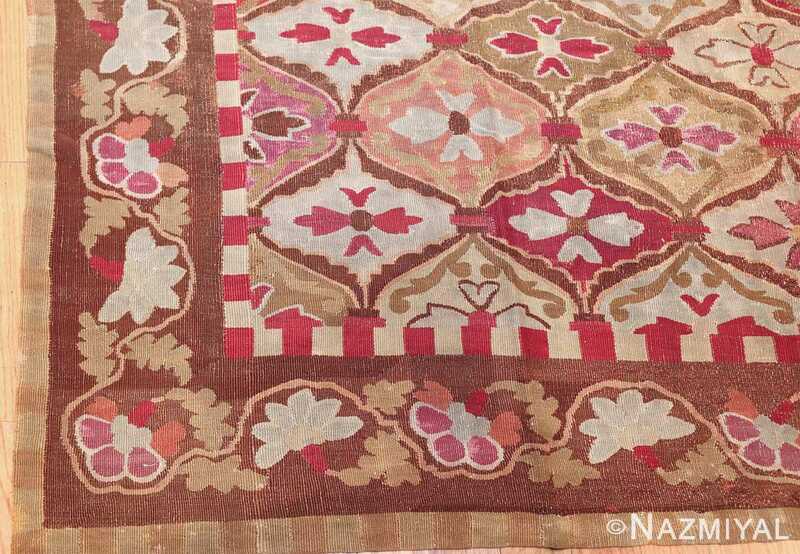 This beautiful antique flat woven rug was woven in France during a time when Aubusson was a center of fine European rug production. 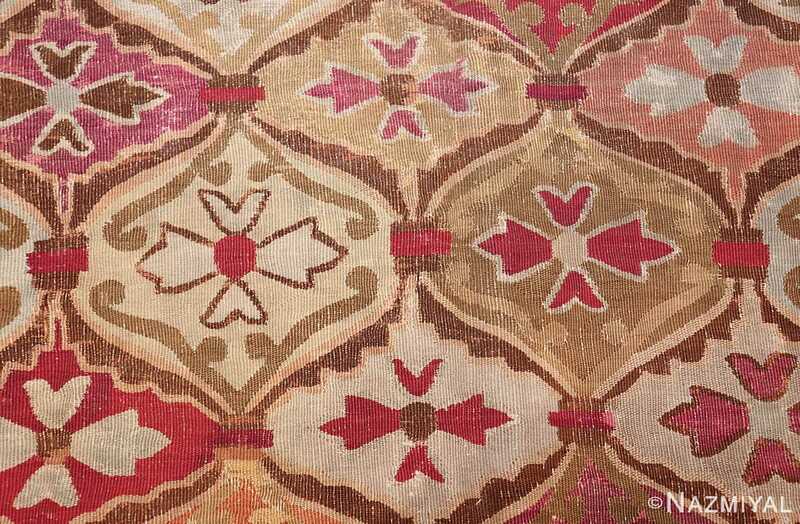 Many of the antique French rugs boast designs and patterns that were inspired by those of the Ottoman Empire, as with this example. 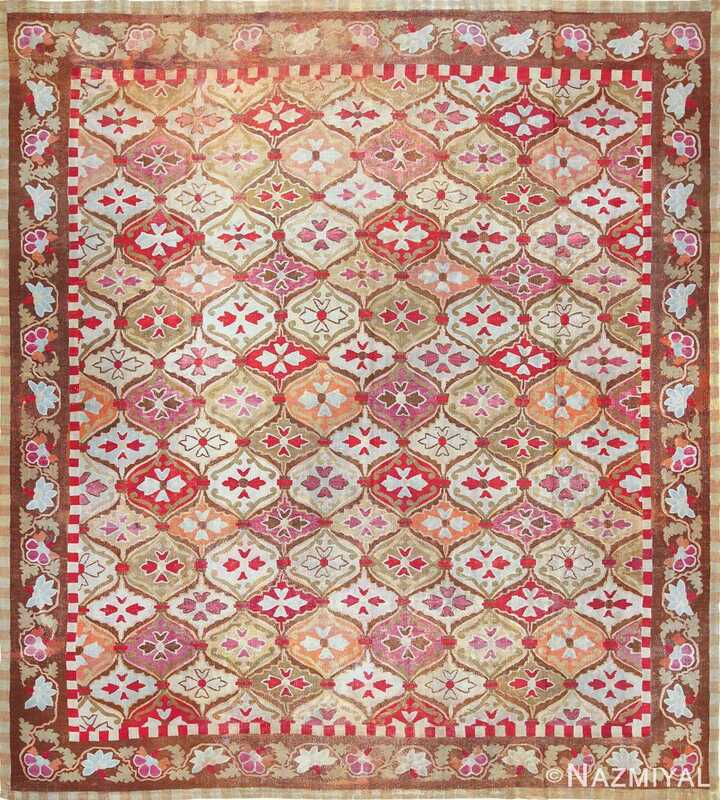 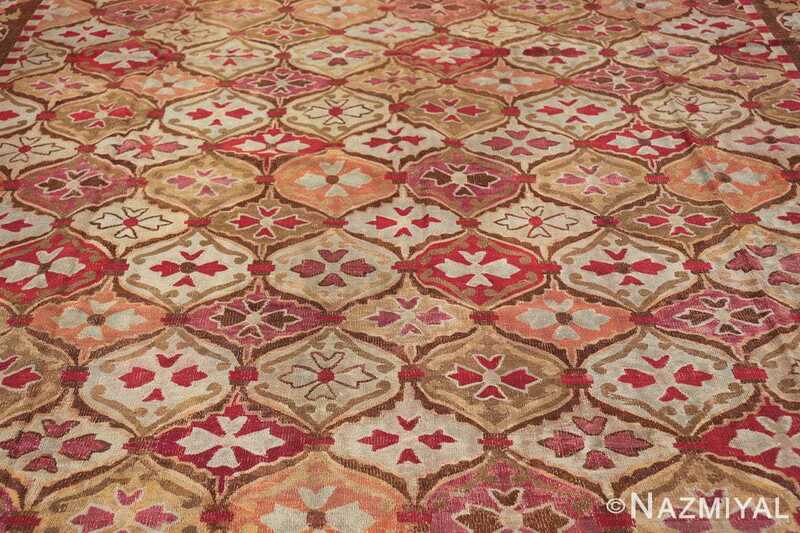 The design of this beautiful antique square shape rug is based on repeating geometric shapes with varied and colorful central designs. 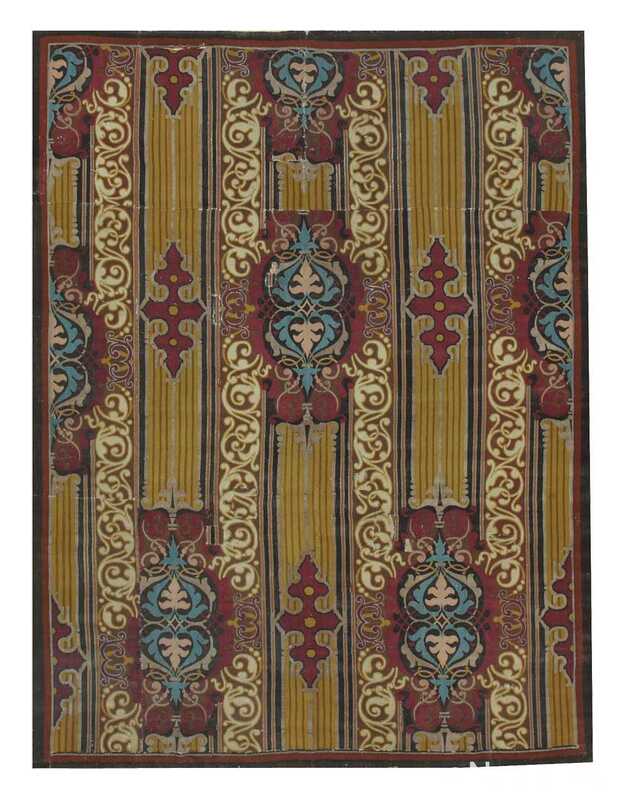 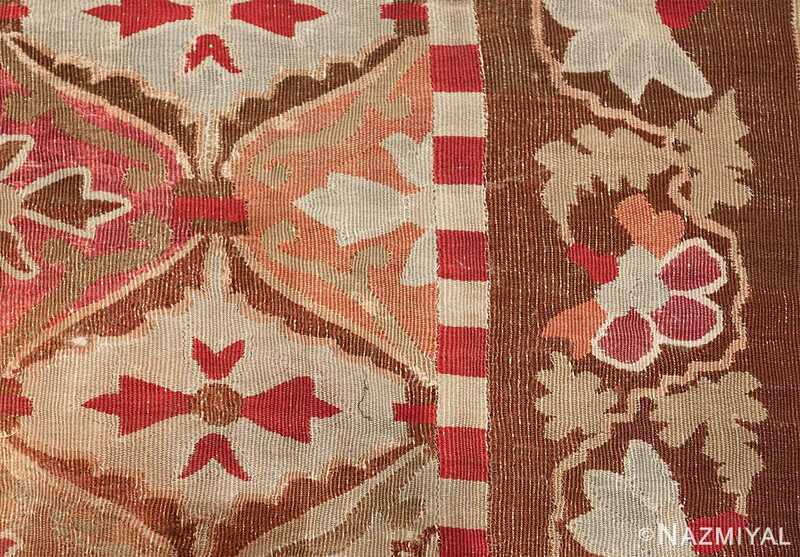 Although the antique rug does have horizontal and vertical symmetry, this facet of the design is not highlighted, but rather the design is carried out in such a way that no single motif is emphasized. The design of this fascinating antique square shape French Aubusson rug does have repetition in the vertical columns of the geometric motifs. However, this repetition is almost lost when one looks at the antique Aubusson rug as a whole. 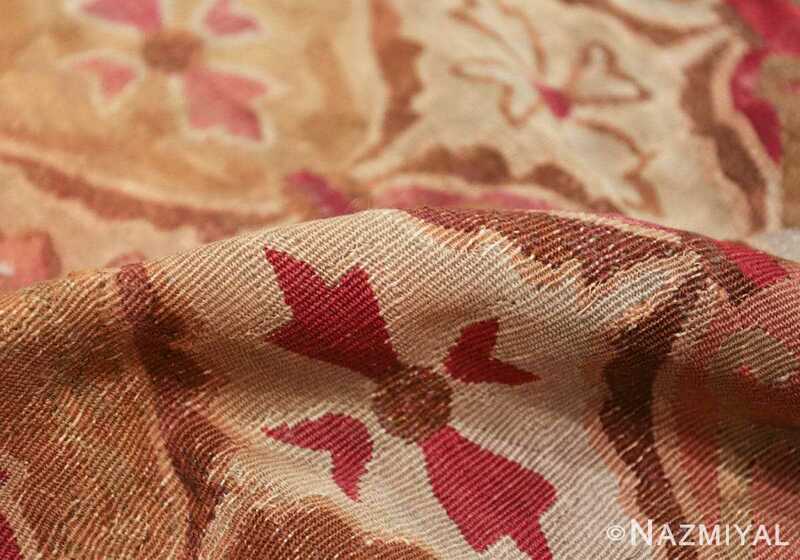 The vibrant reds, oranges, purples, and pinks are carefully placed as contrast with the mellow ivories, greens, and gray tones. 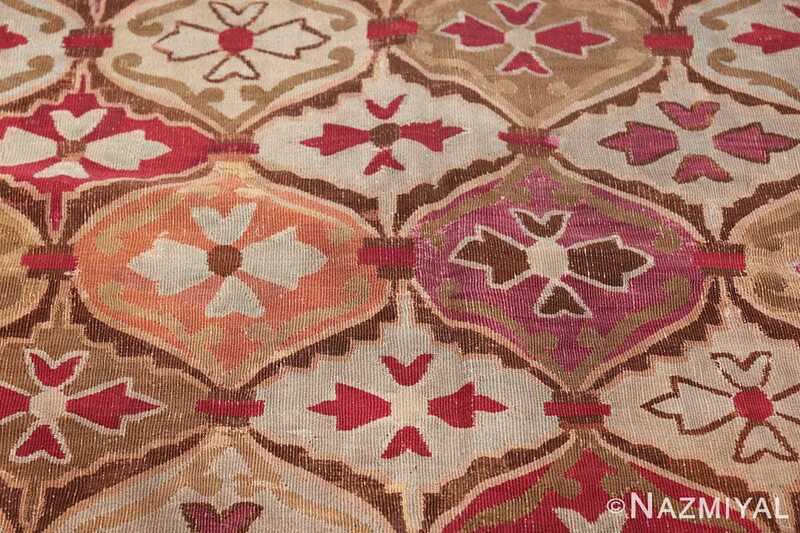 Although the design repeats in each geometric shape, it is not perfectly carried out. 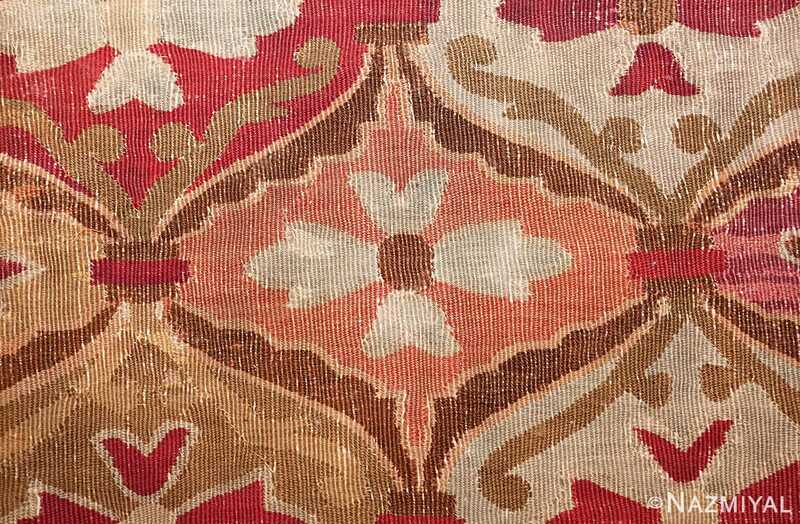 This gives the antique French Aubusson a rustic, handmade quality that is reminiscent of the artist that produced it almost two centuries ago. 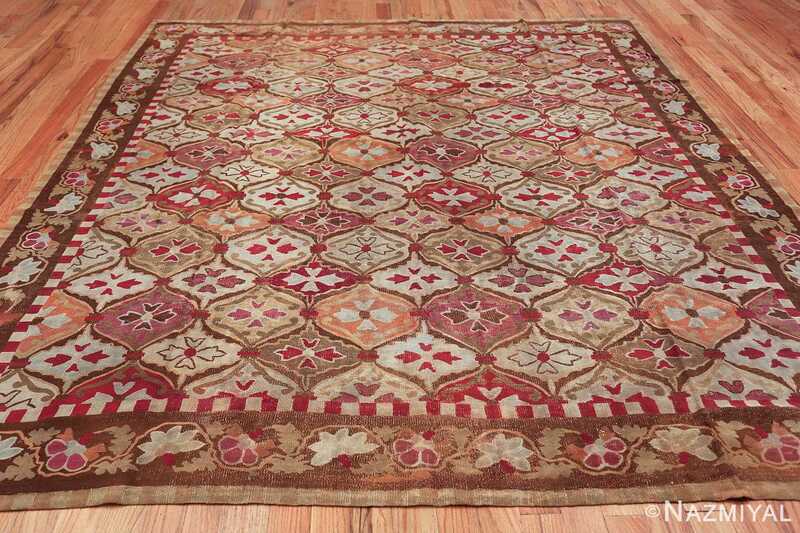 This gorgeous antique Aubusson rug from France has an overall soft yet cheerful feel that is a result of the use of brilliant color throughout the design. 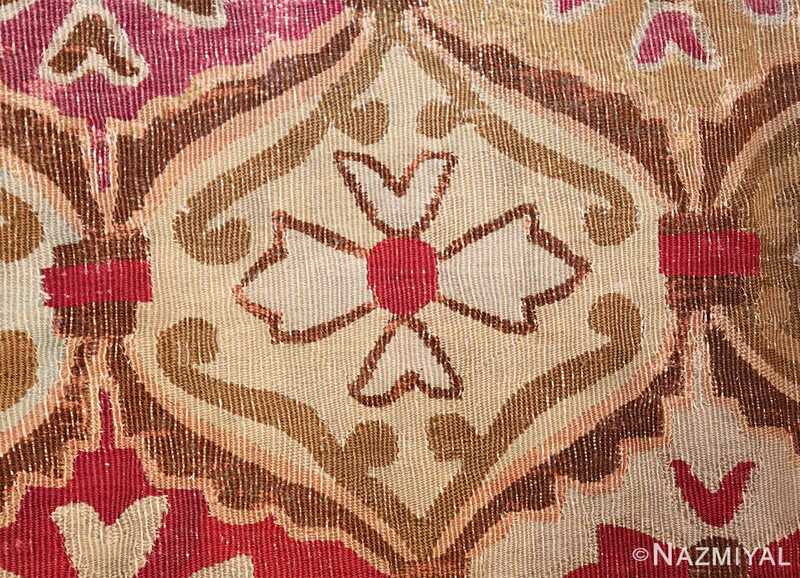 It is an extraordinary example of historical importance in the world of design and antique carpet making. The flat woven antique French Aubusson rug is well preserved and would make an excellent addition for any collection, office decor, home interior, or lightly trafficked public space where it can be viewed and appreciated.